I have been working on this for quite some time now and everything is finally ready. It all started a few months back when I was thinking about how I missed my System-100 Model-101 & 102 and how I liked the filter of those synths. I could buy them again but these days the prices for those antiques are just silly. 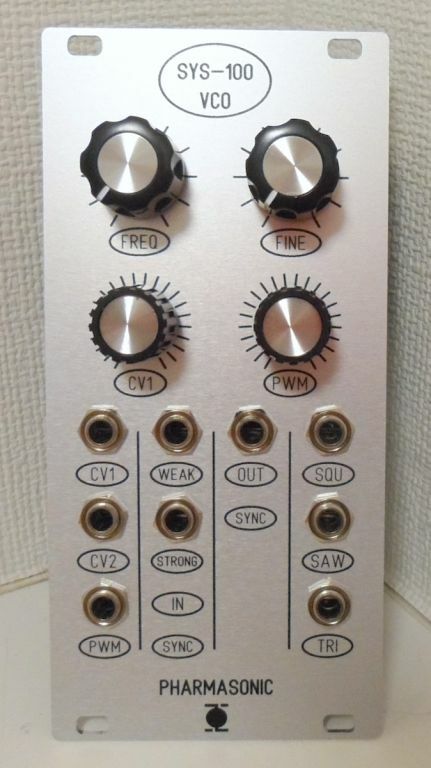 Then I thought I could make a clone of that filter for my modular. OK, let's go for a clone of the VCO too. 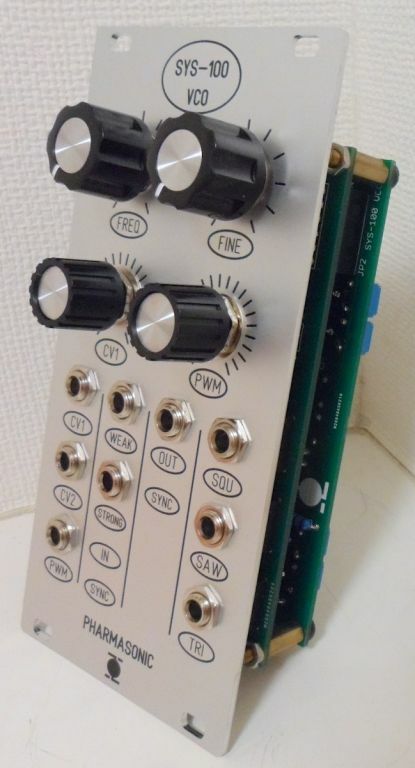 The result is 11 modules in eurorack, most of them are 6hp except for the VCO which is 12hp and the VCF, 10hp. Luckily some local suppliers still carry those parts. In the VCO, I replaced the uA726 with a well known "discrete" circuit. Also, it is well known that Roland used a odd matched transistor in the VCF design that I replaced with a AS394 from Erica Synth. 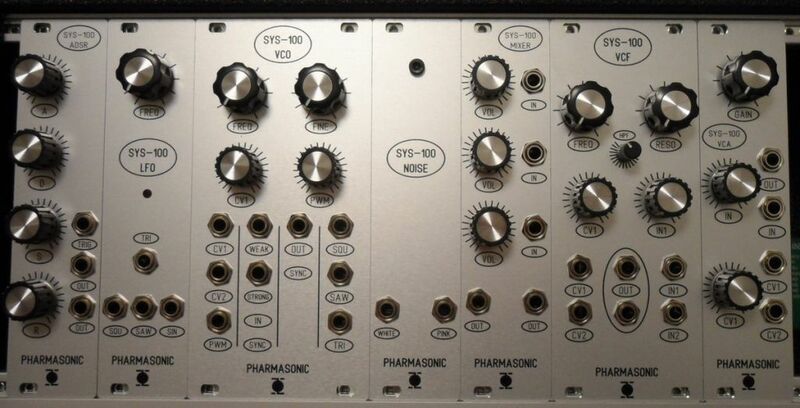 All modules use through hole parts except for 2 IC's on the VCO. I no longer have the original synths to compare but everything sounds and behaves the way I remember the old ones did. I was not quite sure what to do with this project. But I decided to sell PCBs only. I'll add them to my shop soon. The BOMs will be available for download as well as FPD & DXF files for the panels. Pictures of the PCBs and assembled modules to follow. I remember to like System 100 model 101 the most out of the Roland monos I have tried in all the years. What a great project you have completed right there. Oh wow, I was just wondering a week or two ago why we haven’t seen these in DIY. are the FCUK system X modules not the same thing? Confusingly, Roland System 100 and Roland System 100m are not the same. That said, I have no idea how much the circuitry differs between the two. Do all the PCBs sit parallel to the panel? Do they all have mounting holes? What are the dimensions of each PCB? I’ve been dreaming of a banana-equipped Model 101 and 102 for some time! The System-100 and System-100M are completely different beasts. 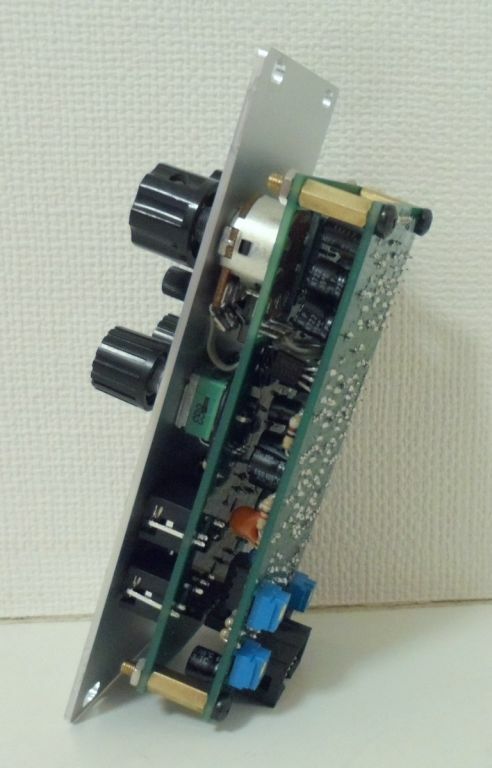 Think more of the System-100 as a modular SH-5 (though with only LP filter) and the System-100M as a modular SH-09/SH-2. I'll let you know when PCBs are available for sale in my shop. I think the price will be around 5 USD for 6HP modules single PCBs and 10 USD for 10HP/12HP modules PCB sets (2 PCBs/set). you gonna sell panels too? Not really ,a System 100M does not sound at all like a SH-09 or SH-02,so i wander where you get that lol. Its like the 100M that shares some same circuitry like the System 700 but both systems sounds completely different. (but on top System 700 had two versions of VCA's,one with BA's and one with CA's). This is brilliant! I can't wait to build some. Well I was talking circuit design, not sound. And I'm afraid you don't know System-100M, SH-09/2 and System-700 very well otherwise you would know that the design and components used in the 100M are closer to the small SH synths than the mighty 700. Will you keep it available or only a short run? This would be material for a small dedicated cabinet. Great looks! 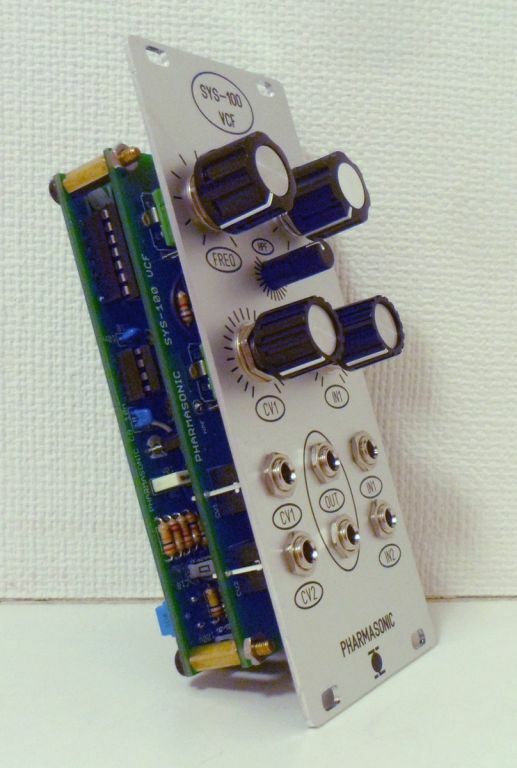 The VCO and VCF look like they’ll be suitable for formats other than Eurorack due to the inclusion of mounting holes. For sure, the PCBs will be available. 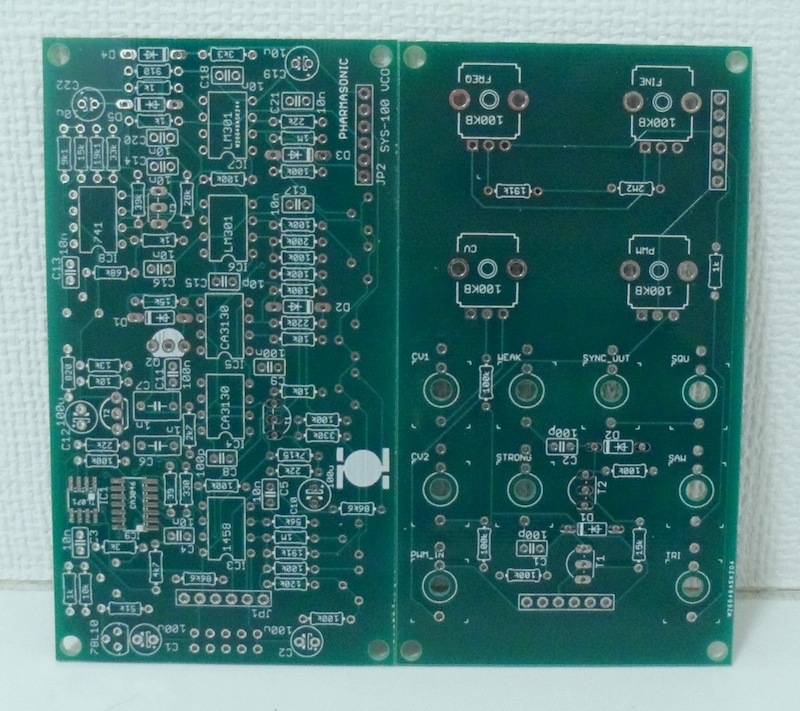 I have received many requests for panel/PCB sets as well as assembled modules. Therefore I have decided to make a run of them as pre-order. Then I'll see how things turn out. You might use the pads for the pot brackets since they have only a mechanical function. But often they are close to components or tracks therefore it would be wise to use nylon standoffs as well as nylon screws. For the modules without pots, you may try to use the holes under the jack sockets. The closest pad to the hole is the switch of the jack and it's almost never used. Again, if you use nylon standoffs and screws, it should be OK.
And the noise has a mounting hole. I had to add one for mechanical reasons. The only thing missing is the Glide/Portamento because I have not received the front panel yet. The PCBs are in stock and can ship right away. On the PCB pages, you'll find the BOM, DXF and FPD files. With the end of the year coming soon, I'm afraid nothing will be able to ship before mid-January. I have had all of them and know better then any who's not owned them how the sound! No matter the thread ,its important for for ppl to know a 100M does not sound like at all like a SH-09 or SH-2,so you statement can be totally misleading,so it important to mention it. Btw,the 100M share plenty circuitry from the 700 to. Hahaha ! You don't know what I owned or not. If you knew you would not say things like that. For your record I know all those synths (including the 700) inside out very well. If you want to continue talking about it, PM me. But don't troll this thread. Just ordered a bunch of PCBs. Stoked! Gonna start designing some panels! Thanks for making this available. I still gotta tweak some stuff (kerning and font sizes) but I like where I got! On the PCB pages, I have added a link to Mouser carts for common parts. 1) The ADSR uses the rare N13T1 PUT. I have some and therefore used them to build my modules. The 2N6027 is a drop in replacement however I have not tested it and cannot confirm that the ADSR will behave exactly as with a N13T1. TBH, the System-100 envelope generator is not the best around. But my goal was not to enhance or upgrade anything, it was to make it as close as possible to the original. Therefore the modules of this project come with the pros AND the cons of the System-100 design. One of the cons is the threshold of the envelope. Simply put, it won't work correctly with a 5V gate/trig. I guess the threshold is around 8/9V. It works well with my Beatstep Pro and a 10V gate. 3) As said before, I had to replace the infamous uA726 in the VCO design with a "discrete" equivalent. The circuit uses SMD parts in order to get the components at the right temperature faster. But still the VCO will drift for a few minutes when you switch it on. Once it has warmed up, it is pretty stable. 4) You can use the System-100 Model-101 & model-102's service manuals for the calibration of all the modules. The only difference is with the VCO. There is one more trimmer to calibrate the "uA726" circuit. I'll make a little guide in PDF for that soon.